I think we can make a case for exercise being in all 3 recommendations. For me, exercise is part of my day. Whether I lift weights, or walk my dogs, I move everyday. I look forward to putting my headphones in, listening to good music, and moving a barbell around. And, I love exercise. Ever since I got into training over 10 years ago, I love how it makes me feel, and makes me look of course. This is why I urge you to find some form of exercise that you do enjoy. Look around, try new things, and find something you can do consistently. It can be classes at a gym, yoga, walks, or whatever! And, if you are struggling to enjoy exercise, if you stick to it, you will eventually love it. Because you will feel better, look better, have more energy, and what you do with your fitness will spill over into everything else you do in life. So, make exercise apart of your daily routine, no matter what it is. Look forward to exercise, not because you feel you have to, but because you know why it’s important. You might find your significant other through fitness, or some of your best friends. Oh, and I am sure your spouse will love how you are looking . 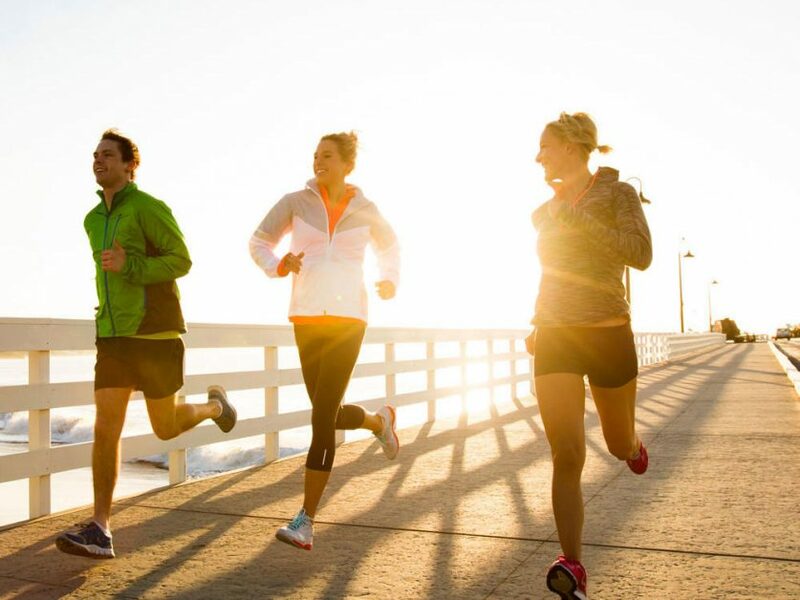 Exercise, without a doubt, will make you a happier person.